Welcome to Brookbank farm situated just half a mile away from the famous Jodrell Bank in the heart of the Cheshire countryside. 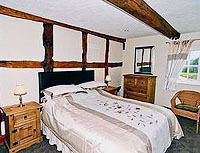 The property dates back to the 1600s and inside is timber framed with exposed oak beams. 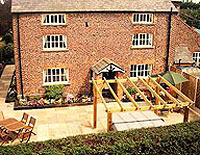 All rooms have been fitted out to a luxurious standard, we want you to feel special and thoroughly enjoy your experience of a cheshire holiday in a real old country farmhouse which dates back to the 1600's. Oak beams are exposed in all rooms giving them a wonderful character and charm. The property can sleep up to 16 people with cots and high chairs for a further 2 children, available with rates starting from £1300 per week (Fri to Fri). 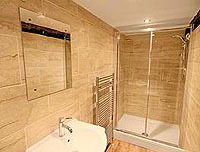 Weekend and midweek bookings are also offered, please call to discuss your requirements and for a further information. Country holidays is a new venture for us, our background is predominantly farming with the family having been on this farm since the early 1900's. the farm is run as all arable growing mainly cereals. We currently have four fishing waters on the farm which have been developed over the last 20 years, these are readily available to guests should anyone be interested in fishing. although holiday letting is something new to us we have been involved in renting out property under long term lets for 10 years. The Farmhouse has recently undergone a major refurbishment including new kitchen and bathrooms, redecorated throughout, new carpets and furnishings. Outside the garden has a new lawn, borders stocked with new shrubs new flag stone paths and patio area with pagoda which is where the new Hot Tub is located. 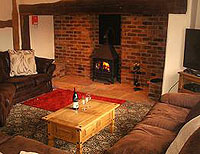 Situated in the heart of the rural Cheshire countryside just half a mile away from the famous Jodrell Bank Telescope. The property is well positioned being just 3 miles away from junction 18 of the M6 motorway. 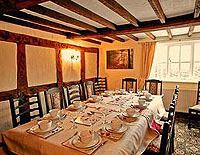 Ideal for a Family Holiday or a Group get together. We are ideally situated being fairly central and in close proximity to the motorway network, giving family and friends a brilliant opportunity to travel from all directions and meet up at one central point. That said we welcome people from any part of the world to come along and experience our country retreat set in the heart of this rural Cheshire. Situated just minutes away from a local village and nearby towns and only 40 minutes away from the cities of Manchester and Liverpool. 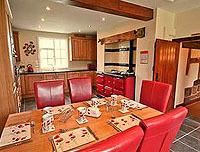 The property is situated on the family run working arable farm, which has been in the family for three generations. The property has been refurbished to a high standard to ensure that holidaymakers have a country side holiday to remember..
Don't forget to mention My Holiday Getaway.com when booking!